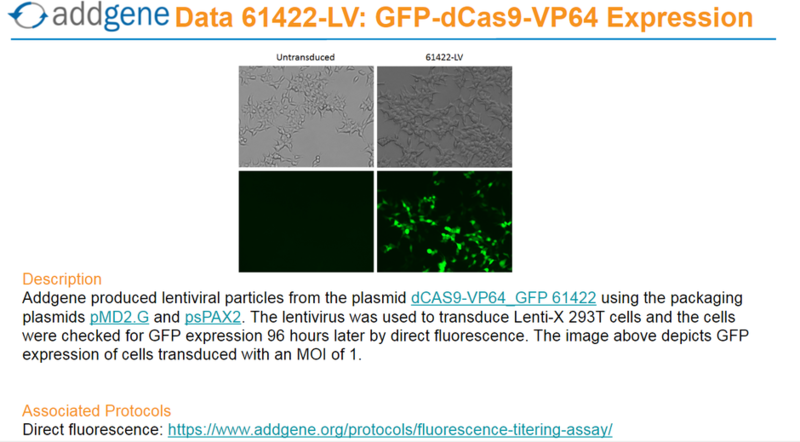 Ready-to-use Lentiviral Prep particles produced from dCAS9-VP64_GFP (#61422). 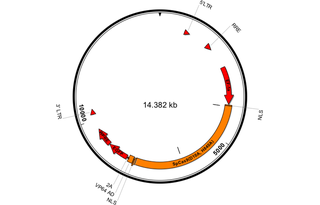 In addition to the viral particles, you will also receive purified dCAS9-VP64_GFP plasmid DNA. Direct fluorescence: Lenti-X cells were transduced with serial dilutions of 61422-LV. 96 hours later, GFP-positive cells were counted. 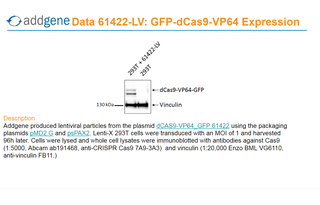 You can view GFP expression in dCAS9-VP64_GFP-transduced cells here or at the image section at the top of this page. 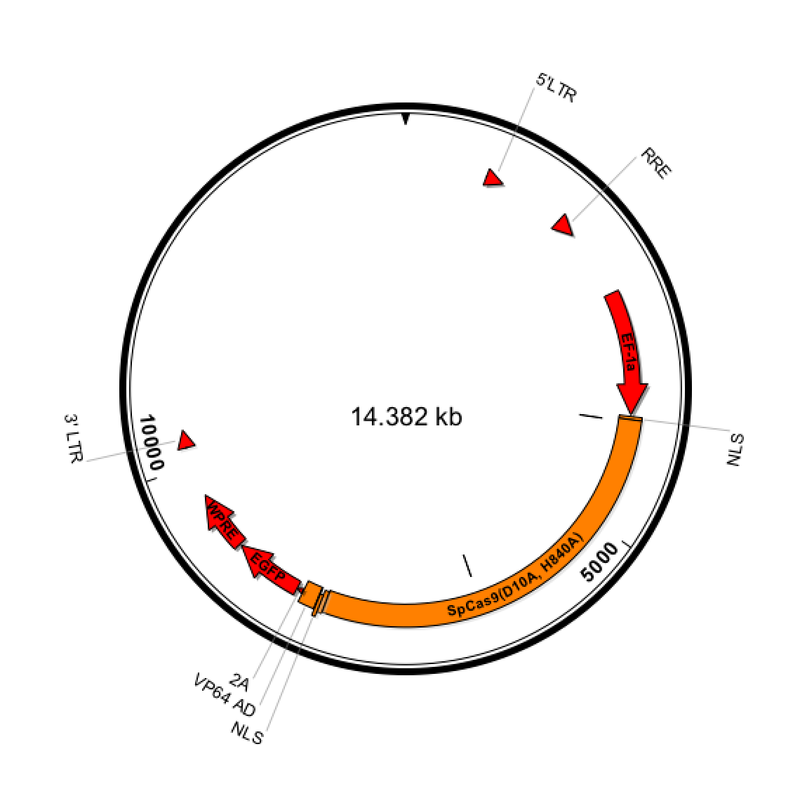 Read our fluorescence titering assay protocol here. 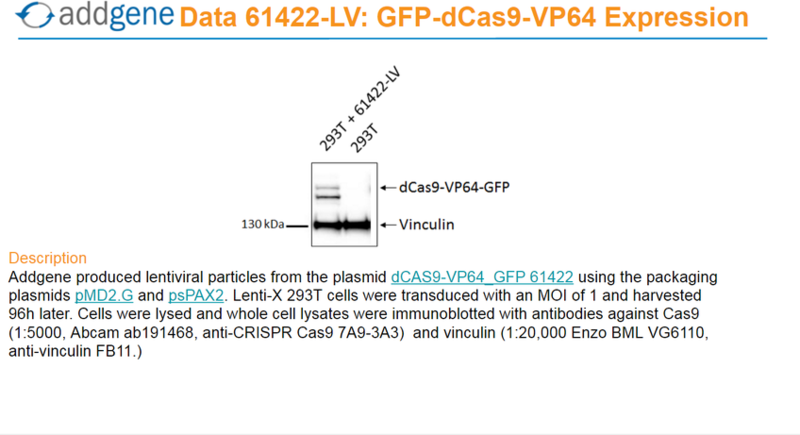 PCR confirmation of insert: PCR was carried out on the viral preparation with primers targeting Cas9 and WPRE. The PCR product was visualized on an agarose gel for size confirmation. Confirmation of protein expression: Lenti-X cells were transduced with serial dilutions of 61422-LV. 96 hours later cells were collected, lysed, and tested for dCas9 expression via immunoblotting.You can view the stable cell line expression data here or in the image section at the top of this page. Read our protocol for generating stable cell lines here. 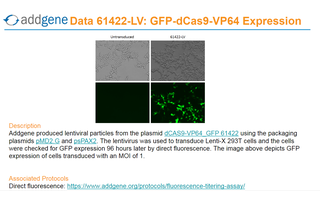 Ready-to-use Concentrated Lentiviral Prep particles produced from dCAS9-VP64_GFP (#61422). 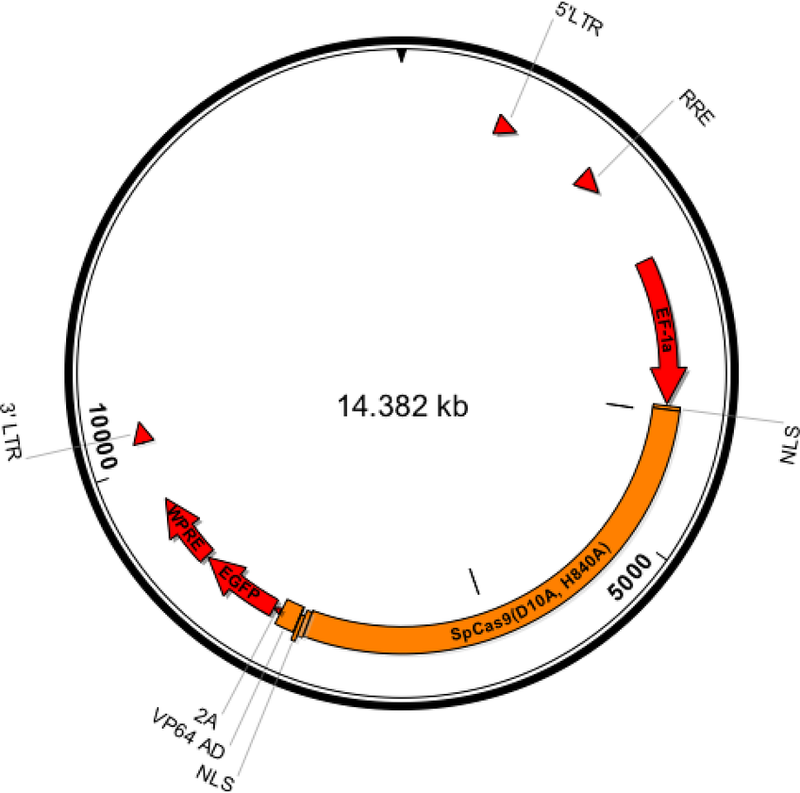 In addition to the viral particles, you will also receive purified dCAS9-VP64_GFP plasmid DNA. Direct fluorescence: Lenti-X cells were transduced with serial dilutions of 61422-LVC. 96 hours later, GFP-positive cells were counted. Read our fluorescence titering assay protocol here.